What if everything we think we know about how the world works - our ideas of love, education, spirituality, work, happiness, and love - are based on brules (bullsh*t rules) that get passed from generation to generation and are long past their expiration date? 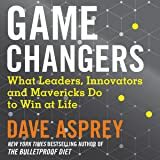 This book teaches you to think like some of the greatest nonconformist minds of our era, to question, challenge, hack, and create new rules for your life so you can define success on your own terms. But what if you could remove these outdated ideas and start anew? What would your life look like if you could forget the rules of the past and redefine what happiness, purpose, and success mean for you? 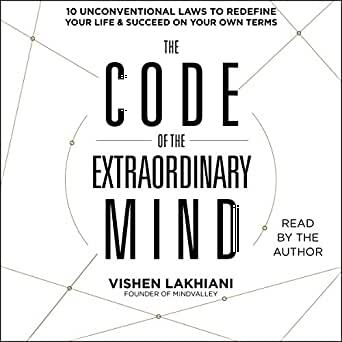 Blending computational thinking, integral theory, modern spirituality, evolutionary biology, and humor, personal growth entrepreneur Vishen Lakhiani provides a revolutionary 10-point framework for understanding and enhancing the human self. 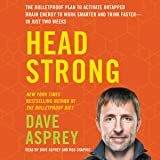 He developed this framework based on his personal experiences, the five million people he's reached through Mindvalley, and 200 hours of interviews and questions posed to incredible minds, including Elon Musk, Richard Branson, Peter Diamandis, Ken Wilber, Dean Kamen, Arianna Huffington, Michael Beckwith, and other legendary leaders. In a unique fusion of cutting-edge ideas, personal stories, irreverence, and his brilliant teaching style, Lakhiani reveals the 10 powerful laws that form a step-by-step process that you can apply to life to shed years of struggle and elevate yourself to exceptional new heights. This book challenges conventional ideas of relationships, goal setting, mindfulness, happiness, and meaning. Lakhiani combines computational thinking with personal growth to provide a powerful framework for recoding yourself and replacing old, limiting models that hold you back with new, empowering beliefs and behaviors that set you on the path toward an extraordinary life - a life of more happiness and achievement than you might have dared to dream possible. 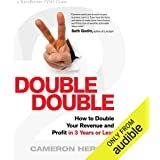 Get the Audible audiobook for the reduced price of $13.49 after you buy the Kindle book. 5.0 out of 5 starsRead it immediately! Absolutely phenomenal book!! The concepts put forward by Vishen Lakhiani are a fantastic roadmap for a beautiful life without limits. Who says we have to do things the way they've always been done? There were so many "OMG!" 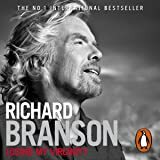 moments I've shared with anyone within earshot, plus all of the friends I have recommended this book to within just the first few chapters - I highly recommend this book to anyone wanting break free of the 'Brules' and accelerate your life. If you find the concepts challenging to accept, thats where you need to stop and question why you think that way - are you applying a 'brule'? Top work Vishen!! 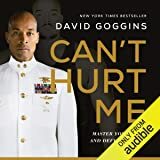 5.0 out of 5 starsLove the book! You need to be open minded reading this book. There are exceptional wisdom contains in here that will challenge your beliefs and rock your world!! Highly recommended!!!! Take all the personal development principles and condense them and you have this book. Don't pass it up. Get onto it. 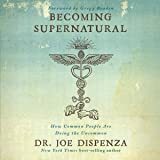 This book was great to read, it has a lot of lessons for you to follow and change the way you think!! Excellent in every way, Thank you Vishen for your vision and sharing your insights to help human evolution move forward. 5.0 out of 5 starsAmazing. Must read ! If you are reading these comments, something has bought you to this page for a reason. You are ment to read this book. Amazing Book. The exercises and methods mentioned in the book are priceless. Comes with free access to Mindvalley Academy, which is full of helpful tools and videos. The 6 phase meditation methods and 3 Blissipline Systems have had a significant impact on my life. Would recommend this book to everyone.